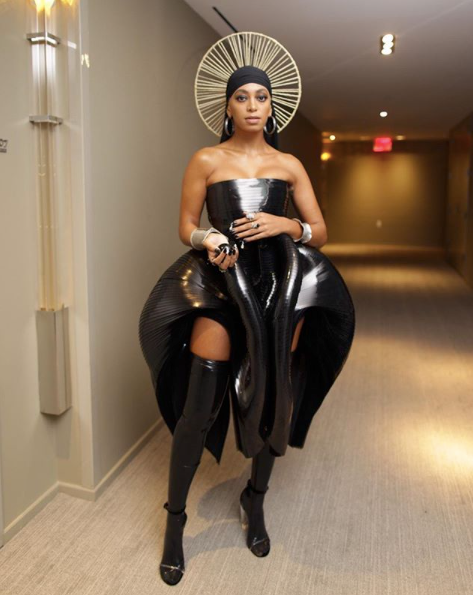 Every year Solange Knowles Ferguson hits the Met Gala carpet, she leaves an impression. She always brings an out-the-box look that perfectly fits the theme, or at least her interpretation of it. Before making her way on the carpet this year, she hopped on Instagram to ask her fans to help her choose out of four looks which look she should do because, anxiety & nerves. Y'all know how it is. 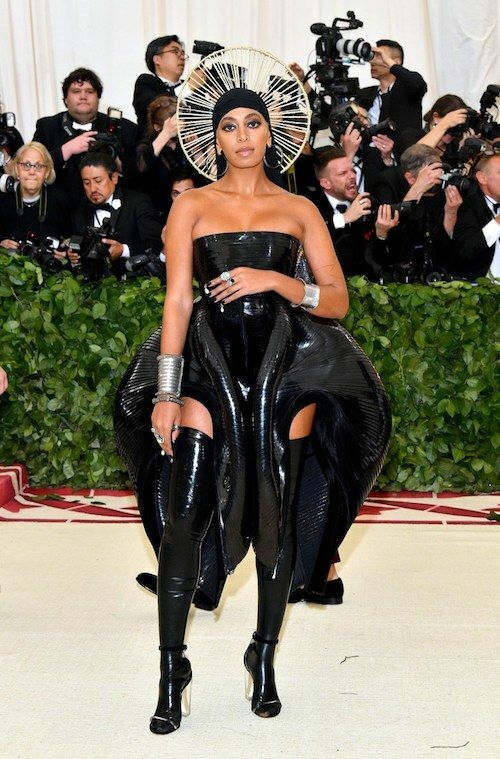 Solo chose the sculpted latex number by Iris Van Herpen for the Met Gala's “Heavenly Bodies: Fashion and the Catholic Imagination" theme. 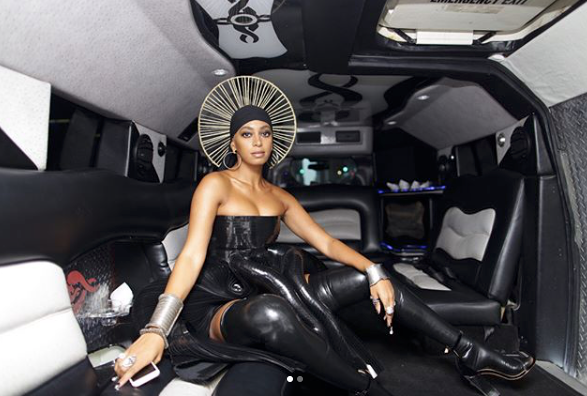 She topped her look off with a halo and (for the cluture) a du-rag. The halo is similar to the one she wore for her "SNL" debut and the one she made out of her hair for ES magazine that they photoshopped out. "i feel heavenly in black - the function #metball," she captioned on Twitter. You look heavenly black, Solo. We thank you.